DES Architecture/Engineering main lobby now hosts a living wall that is bringing cheer to their offices. The system is on display for clients interested in hosting their own living walls for their upcoming projects. The Floraframe Recirc-24 unit demonstrates the “plug & play” ease of integrating plants into their designs. 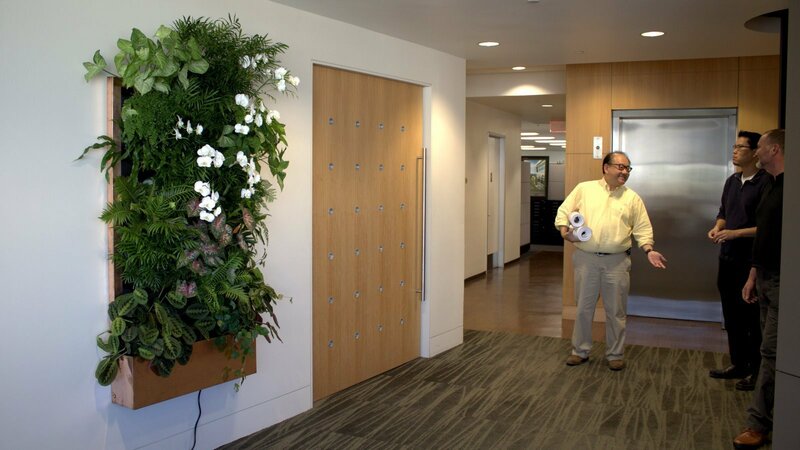 DES Architecture offices in Redwood City, California display a Floraframe Recirc-24 in their main lobby.